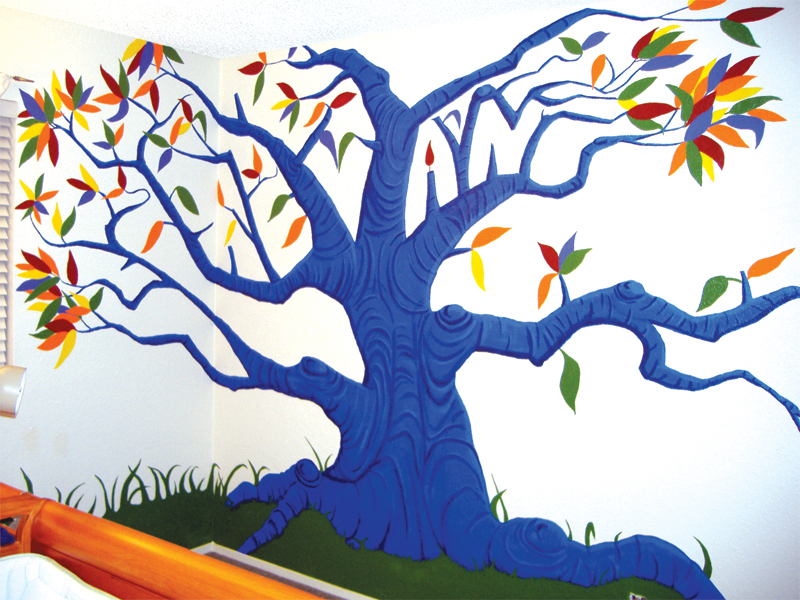 I’ve always enjoyed personalizing my murals, sometimes even in a subliminal way. 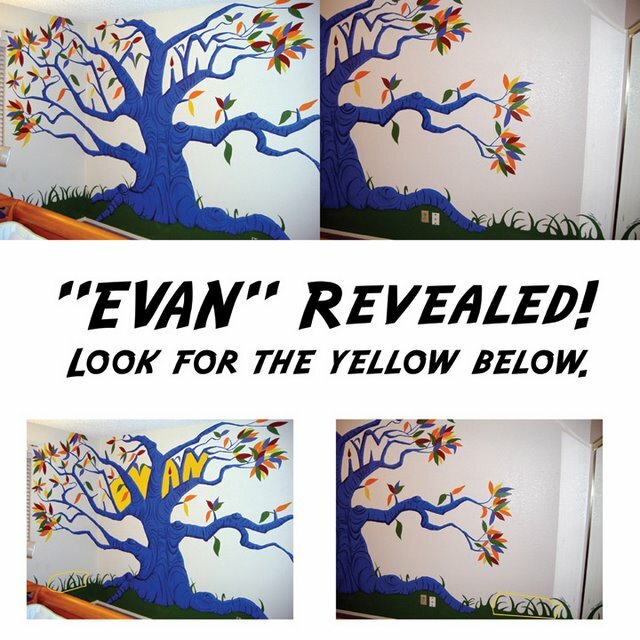 So when I painted this mural in my son’s room, I hid the name “Evan” in different places. Can you find them? It isn’t easy to find, is it?